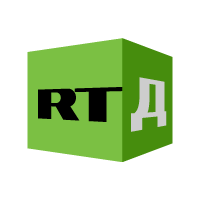 RT Documentary is a Russian continuous broadcast TV news channel . The chain RT Documentary broadcasts in different languages: English, Arabic, French, and of course Russian. Its objective is to offer the international community an additional image of Russia through a quite different presentation of information from that offered by the Western media. RT Documentary information programs include comprehensive news programs at fixed times, debate programmes and columns on various themes. Whether national and international news or the latest consumer trends in Russia, most of the news is explored and examined. The viewers can also enjoy stories or investigations on matters that affect their daily lives: health, education, culture and of course sport. RT Documentary was launched in 2005. This news channel is owned by the RIA Novosti news agency. The success of RT Documentary has been a great success as evidenced by the fact that it is, in the United States in particular, the second most popular foreign news channel and the number of regular viewers keeps growing. Although other information channels exist in Russia, RT Documentary is in sharp competition with its domestic challengers. Providing information and news continuously RT Documentary clearly has the will to compete in the field of information with other major international channels such as Al Jazeera or CNN. RT Documentary is now accessible via the Hotbird satellite throughout Europe, Asia Minor, North Africa, the Mediterranean and the Middle East. Follow live news 7 days a week, 24 hours a day.